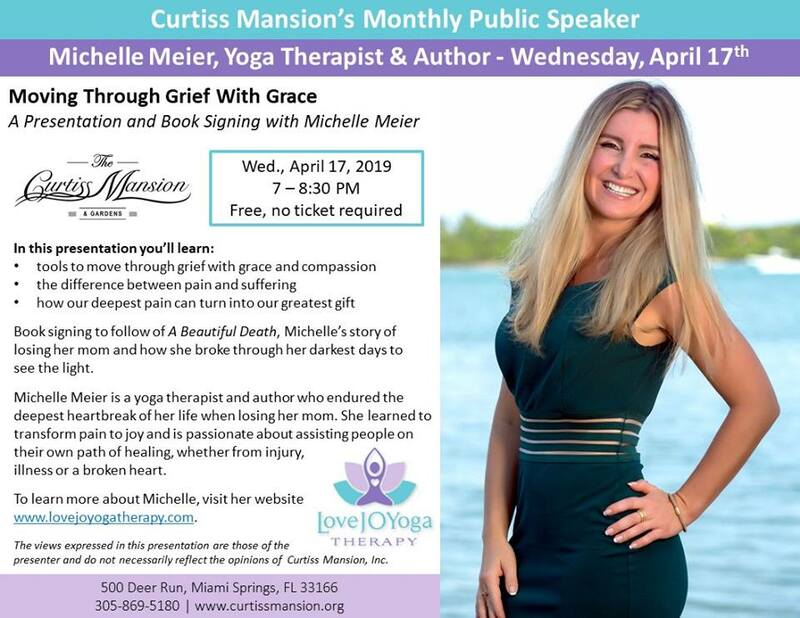 The Curtiss Mansion will be hosting a presentation and book signing with Michelle Meier, Yoga Therapist and Author on Wednesday, April 17th. The talk is titled “Moving Through Grief with Grace” and is a FREE Event Open to the Public. It’s part of the Curtiss Mansion Monthly Speaker Series.